Image, Pictorial Directory of the 74th Congress A veteran of World War I, Wright Patman of Texas served 24 terms in the U.S. House of Representatives and chaired four committees. On this date, by a vote of 211 to 176, the House passed a $2.4 billion World War I veterans bonus bill sponsored by Wright Patman of Texas. Prior to that vote, veterans’ groups had unsuccessfully requested the Herbert Hoover administration to pay immediately a congressionally-mandated bonus for World War I servicemen scheduled for 1945. Thousands of veterans and their families, devastated by the Great Depression, participated in the “Bonus March,” descending on Washington, D.C. to lobby Congress for a cash payment which would amount to roughly $1,000 per veteran. They camped in vacant federal buildings and along the Anacostia Flats, several miles from the Capitol. High drama marked House debate. 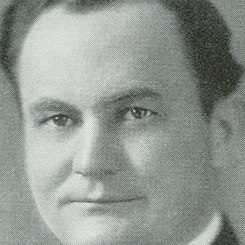 Representative Edward Eslick of Tennessee died of a heart attack on the House Floor while delivering an impassioned speech on behalf of the bill. A day later, when the measure passed, hundreds of veterans jubilantly celebrated in the House Gallery. The Senate subsequently rejected the Patman Bonus Bill by a wide margin. Several thousand veterans refused to leave the capital and, after marchers clashed with local police, the Hoover administration called in the U.S. Army to forcibly evict them from their shantytown in Anacostia.